Happy second day of spring! We've had some gorgeous weather the past couple of weeks and it's made me really excited to switch my wardrobe into "spring mode." 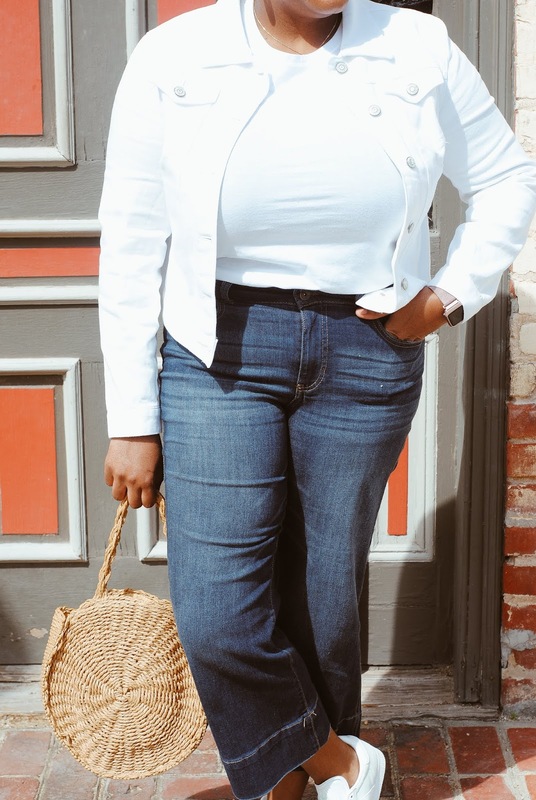 One of my favorite spring outfits is a simple jeans and tee combo that can be dressed up or down, depending on the occasion. Today I am partnering with Walmart as part of their We Dress America campaign to show you how I make this everyday pairing my own! 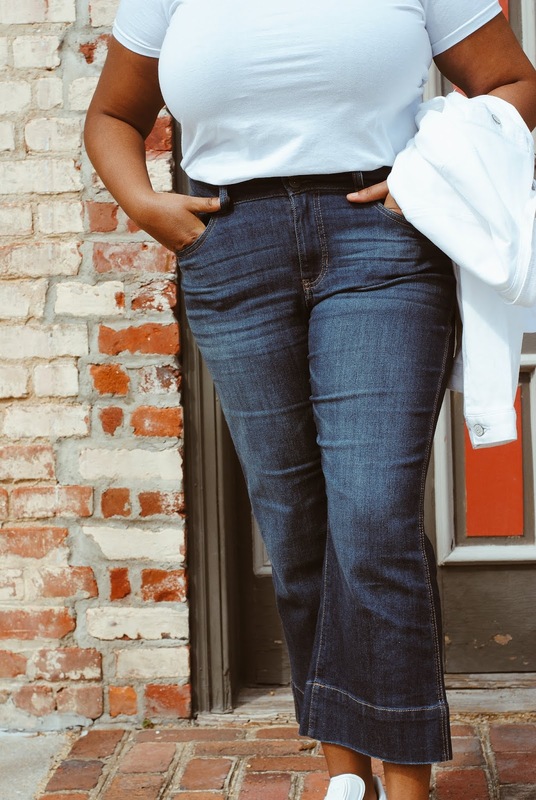 A tee and jeans is my all-time favorite outfit combination and it's so easy to see why. It's simple, but allows plenty of opportunities to make it your own, which I feel describes my personal style perfectly. 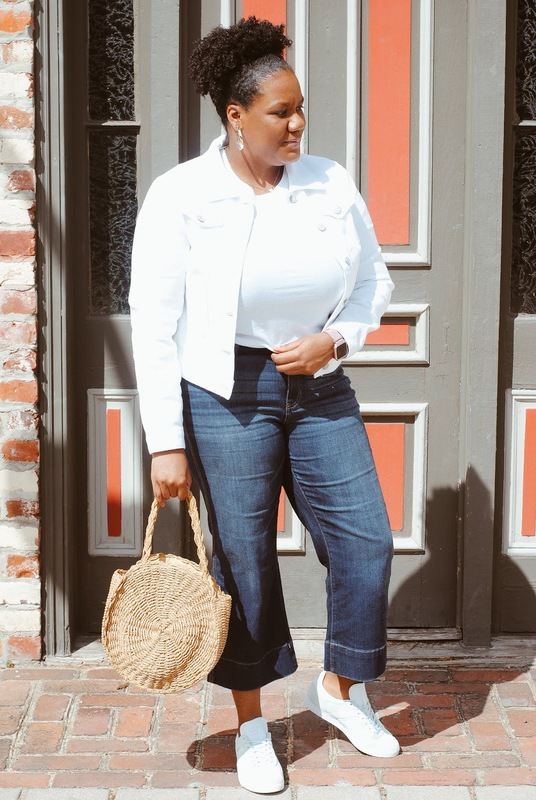 I make this combo my own by pairing it with my favorite signature pieces - statement earrings, colorful sneakers, and a white denim jacket. 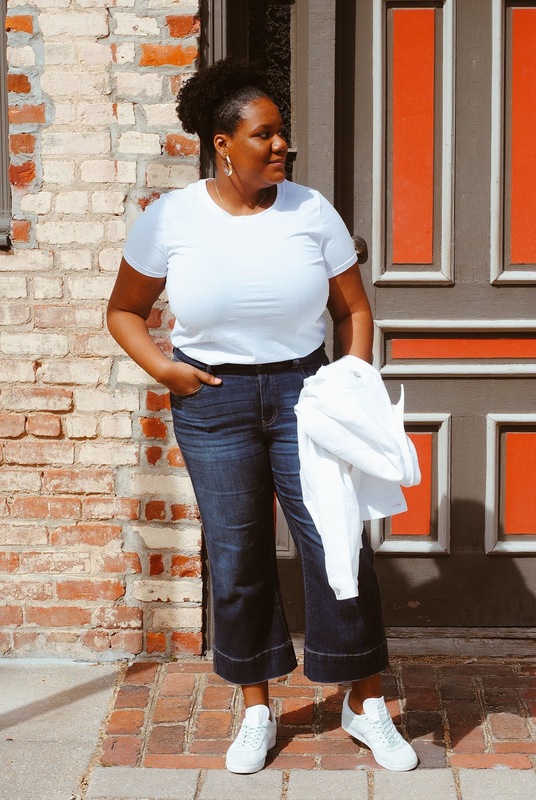 My white tee and wide leg denim are from Walmart's Time and Tru line, which is part of their We Dress America campaign. We Dress America is all about style that's original, doesn't discriminate, and at prices we all feel good about. We Dress America is about showcasing your style even if you live in a "small-ish" town like I do. 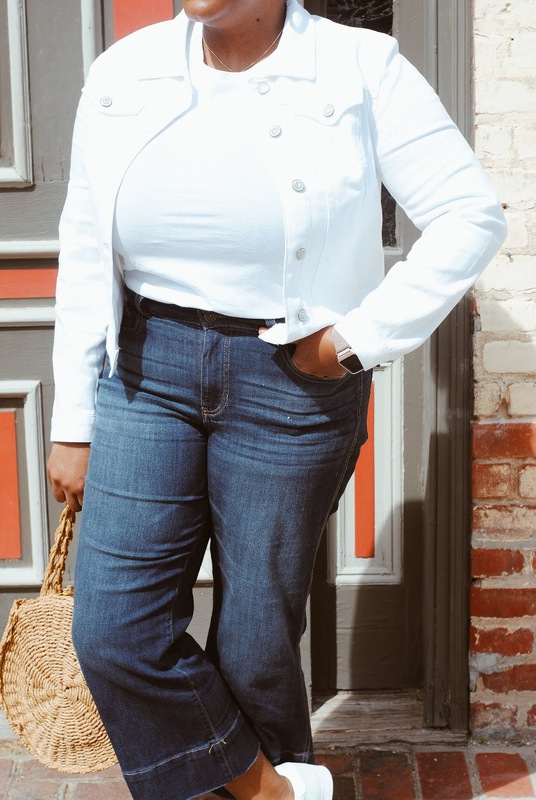 I am always looking for unique, affordable, and quality pieces to add to my wardrobe and Walmart is one of my favorite fashion destinations this spring. Visit Walmart or Walmart.com to shop the We Dress America campaign now! Can never go wrong with a tee and jeans! So love how you accessorized this look too. Loving the bag and those sneakers! 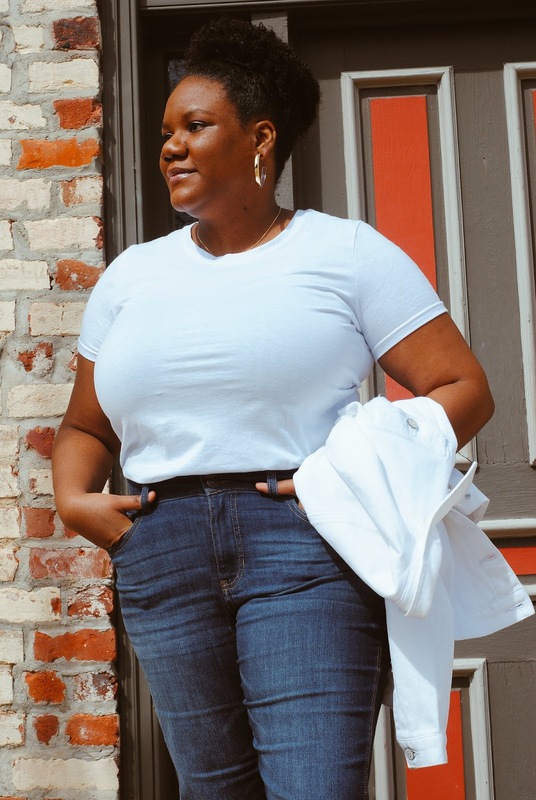 The classic white tee and jeans are timeless! It looks good on you! 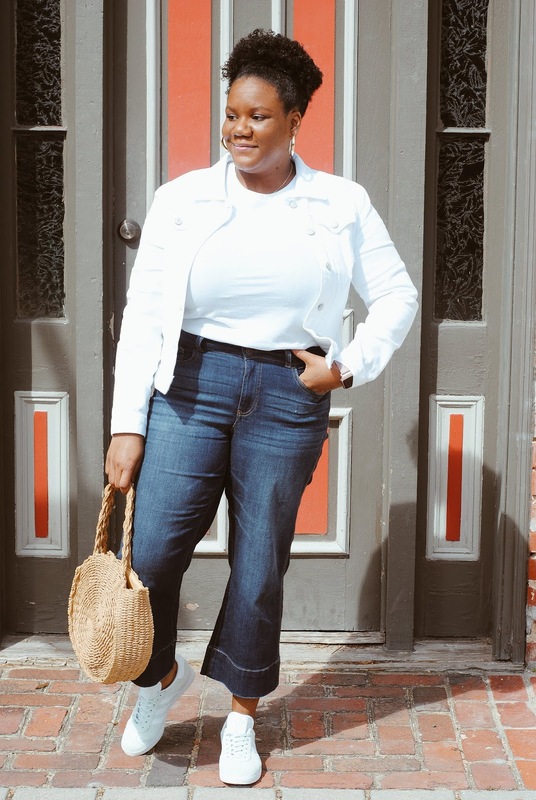 Amanda, I found you from Nancy's Fashion Style Link Up! I had to come over and check out this fabulous look and my jaw dropped when I read it's from Walmart! Whoa! It is fantastic, I love those jeans. Also, love your circle straw bag - I have one from last year but I like the size of yours better. Anyway, happy to have found you and just wanted to say hi! Popping over from Nancy's blog. I just adore this outfit. 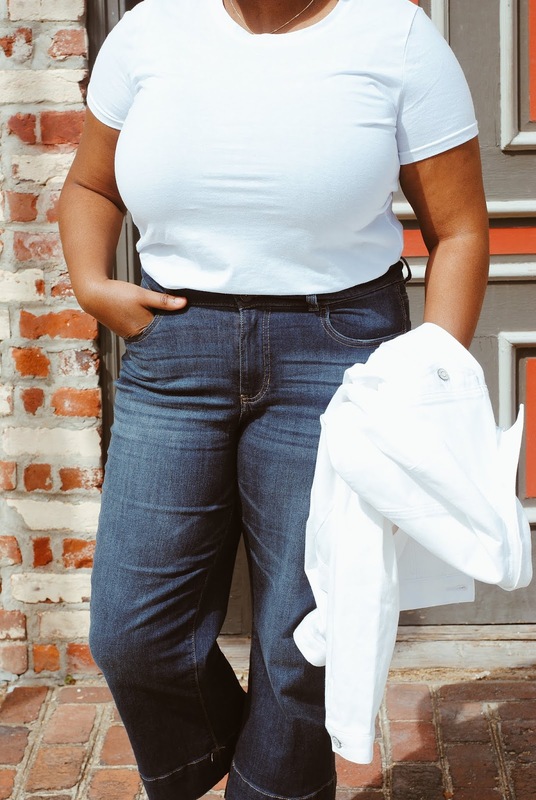 I recently bought cropped jeans and can't wait to wear them.